Women strongly outweigh men for the third year in a row in the Media Week 30 Under 30 2018, run in partnership with Hearst UK. The judges selected 19 women and 11 men from a record 150 applicants from brands, agencies, media owners and other companies. Campaign announced the winners at a ceremony at House of Hearst, the publisher’s new headquarters in London's Leicester Square. James Wildman, president and chief executive of Hearst UK, told the audience: "Media Week 30 Under 30 seems to us an extremely appropriate thing to be associated with because we at Hearst are very committed to investing in our young talent." Wildman, who is a former winner of Media Week 30 Under 30, described this year’s winners as "the very, very, top, top talent of this extraordinary industry that we’re all privileged to work in". The 30 winners came from a broad range of organisations and companies, including Buzzfeed, the Cabinet Office, Hearst, MediaCom, Oath, Omnicom Media Group, Shortlist Media, Telegraph Media Group, UM and Wavemaker. Natalie Bell, managing director of Manning Gottlieb OMD and one of nine judges, said: "This could easily have been the 100 under 30. What struck me was the amount of talent across such a variety of disciplines." Applicants wrote a 500-word entry and made a video. Some talked about personal challenges, including mental health, eating disorders and bereavement, which the judges felt reflected the openness of the millennial generation. Zoe Clapp, chief marketing officer of UKTV, said: "The applications were strikingly candid and thoughtful [with the applicants] showing integrity to their craft and their teams, and an appetite to keep advancing the media industry. "Their commercial accomplishments, skill and EQ should give us enormous hope for the future." Dino Myers-Lamptey, UK managing director of MullenLowe Mediahub, said: "It was incredibly tough judging, and that was a good thing. With so much change in the industry, it is reassuring to see that the best talent is still being lured in rather than lured out." Jane Wolfson, chief agency officer of Hearst UK, said: "The standard of entries was especially high with some exceptional content and a real awareness of driving social responsibility. 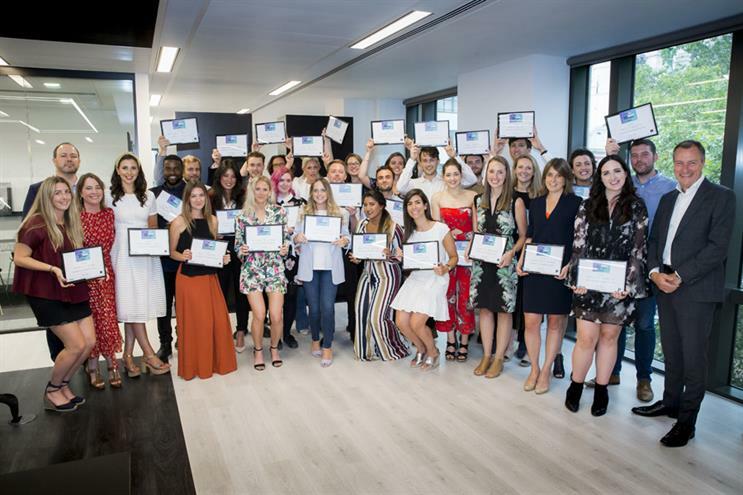 "At Hearst UK we are committed to developing and recognising young talent, so it’s an honour to be able to celebrate the achievements of rising stars across the wider industry." The other judges were Ed Couchman, general manager of Snap UK; Satin Reid, joint managing director of MediaCom London; Daren Rubins, chief executive of The Lighthouse Company; Gurjit Degun, experiences editor at Campaign; and Gideon Spanier, global head of media at Campaign.